Education is an important theme in the United Nations. Article 26 of the 1948 Universal Declaration of Human Rights declared that ‘everyone has the right to education’. In the year 2000, the organisation adopted the eight Millennium Development Goals, which included the goal of achieving universal primary education by 2015. The six ‘Education for All’ goals were also adopted by UNESCO (the United Nations Educational, Scientific and Cultural Organization). These goals also included providing free and compulsory primary education for all. 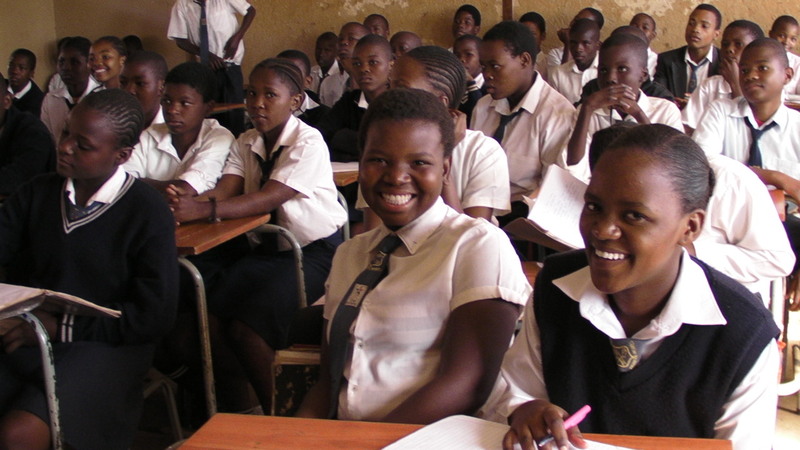 Sub-Saharan Africa is one of the most prominent areas in which primary education has been an issue. However, the continent has made some significant strides in the area since 2000. Zulmira Rodrigues, the Education Coordinator for Africa in UNESCO’s Regional Office in Dakar, has stated that ‘Across Sub Saharan Africa, there is a general awareness that the last decade has witnessed unprecedented progress in the development of education’. Indeed, the net enrolment Ration in primary education throughout sub-Saharan Africa increased from 58% in 1999 to 76% in 2010, and it currently stands at 87%. Burundi, in particular, has made great strides. The small, eastern African state has ensured that nearly all children receive a primary school education by offering free and compulsory primary school education. Indeed, UNICEF has estimated that the proportion of children in school increased from 59% in 2005 to 96% in 2011. This success is even more outstanding due to the fact that Burundi is still emerging from war. Despite some successes in improving the implementation of primary school education, however, there have been difficulties and not everywhere is achieving the same levels of progress. For instance, while 99% of boys and 100% of girls are enrolled in primary school education in Madagascar, only 39% of boys and 34% of girls are enrolled in Eritrea. UNESCO has estimated that in total, 31 million children across sub-Saharan Africa are still not receiving a primary school education. Indeed, there are some major problems that stand in the way of implementing the goal of universal primary education in sub-Saharan Africa. Parents are often unable to afford the different costs of sending their children to school, which include school fees as well as the cost of school uniforms. There is often a lack of qualified teachers available to teach in primary schools, and schools are often located too far away from children’s homes for them to attend. This has proved to be a problem in rural areas. Indeed, Johannes Wedenig, UNICEF’s representative in Burundi, that ‘with regards to infrastructure, access to school, qualifications and even distribution of teachers, obviously the rural areas have a bigger challenge than the cities’. Therefore, while it is clear that while sub-Saharan Africa has made noticeable and significant progress in enrolling children in primary school education, there is still a great deal of work to be done for primary education to be made universal.